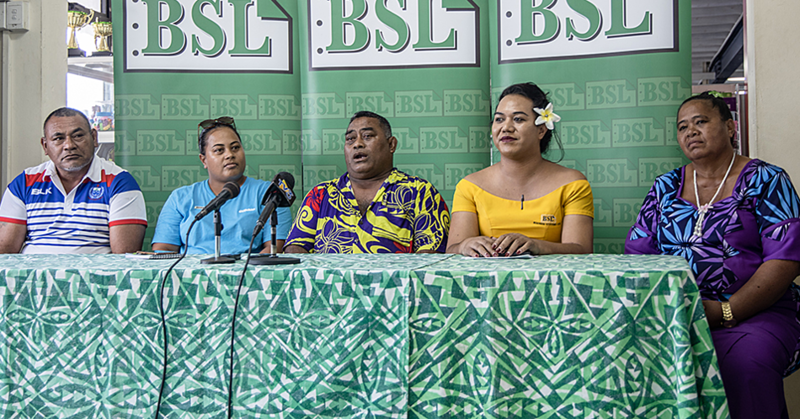 A studio, which fosters an innovative style of learning for disadvantaged or unemployed youth between the ages of 8-25, is a very welcome asset for Samoa. The High Tech Youth Network’s (HTYN) Pacific Director of Learning, Keu Iorangi is currently in the country to set up H.T.Y.N.’s 13th studio that will be based at Vaivase-Uta. 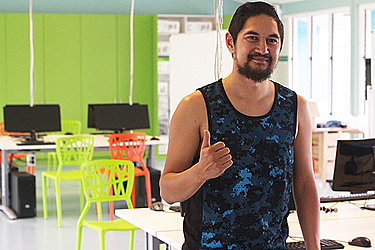 The 32-year-old believes this studio will be a boost to the youth of Samoa and to ensure the studio will be off to a great start, he will host a H.T.Y.N. workshop today at 10:00a.m. at Samoa College (blue building, formerly the boys' hostel accommodation). It’s a workshop to provide an overview outlining the High Tech Youth Network's presence in Samoa, the programmes to be offered, methods of programme delivery, volunteers and mentors’ programme. “I think the youth of Samoa can contribute their imaginations, but that’s not the limits of what they can potentially share. “I know the culture is rich here and the way of living is very different to how people live in New Zealand so I guess another thing they can contribute is the way they live, their culture, their songs, combined with the many ideas that come from all of the things that influence them. There are 12 studios for H.T.Y.N. Some of these studios have been set up in parts of the Pacific like Hawaii and Fiji but most of the studios are based in New Zealand. Born and bred in New Zealand, Keu Iorangi has been working for H.T.Y.N. for over 10 years. He started off as a mentor, then he became a Studio Producer in a studio in New Zealand called Studio 274 and three years ago, he was appointed as a Director of Learning for the H.T.Y.N. “I work with all of our studio’s producers or educators throughout our network. “I offer all the training and I also look after our studio deployments so I pretty much get sent around to set up all the techno equipments and also the programming. “I’m here for a week currently helping Moananu Tyrone Laurenson, the In-Country Programme Manager for H.T.Y.N. setting up this studio. “I also work with him to try and understand the needs and dreams of this community. Things may not be easy as they look so to Keu taking things step by step seems to be the right way to do it and eventually you’ll get there. “I’ve worked to set up our studios that are currently running and from what I’ve seen over the years, the outcomes are that all things are possible and there are no limits. “You know for H.T.Y.N., when we set up studios, we don’t just go in and say this is the first thing you need here. “We have to be invited into a community to be able to work and collaborate so that’s how we sort of ended up here in Samoa. 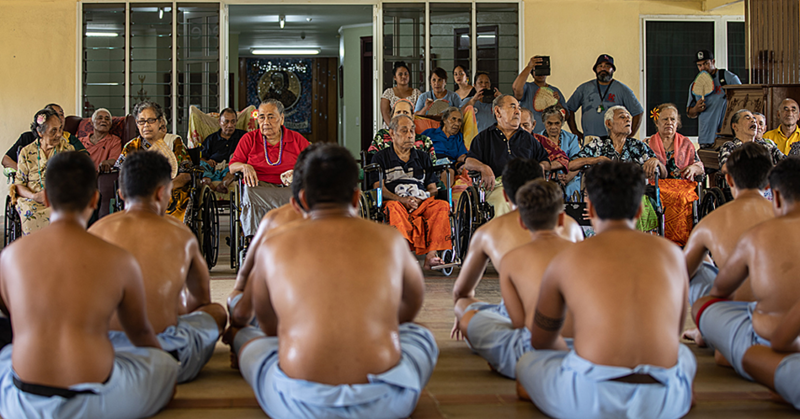 “It was because the former Minister of Education, Sports and Culture, back then, Magele Mauiliu Magele invited us over to Samoa and for me anyway, that says we’re doing pretty good work within our communities. “A lot of different communities around the place have come to us personally and said that they would like to collaborate with us asking how can we do this within our community? According to Keu, being a Director of Learning and a Studio Producer is not just about being an educator. “Learning happens in many different forms within the studio space. “It’s a very reciprocal learning relationship. For example if you’re a youth, I’d be teaching you but no doubt, I know in myself that you’re going to be teaching me stuff along the way too. Keu believes that when you find passion in what you do, anything is possible. “To be honest, throughout my whole journey at H.T.Y.N., it wasn’t something that I chose or wanted to get into. It sort of just happened so I was really lucky. “My first day in helping out in the studio, I knew nothing. “I’ve pretty much learned everything within the studio’s space from other educators so everything I know today is pretty much everything I’ve picked up over the years, in working and collaborating with all the youth and other educators throughout our network. “It’s something I’ve learned and it’s something I’ve found a passion for.